Tonight's documentary is a 3 part film by BBC's Evan Davis, The City Uncovered, which explores the roots of the financial crisis, U.K. style. Davis goes into hedge funds, risk management & derivatives. He also describes how prices (who sets the prices?) operate in the global financial system. This documentary is from 2006, long before the financial meltdown. It's the story of what happens to a town when jobs are offshore outsourced. Bill Black, an outspoken critic of the financial sector and lack of regulation, tells it like it is. Kansas City Federal Reserve President Thomas Hoenig also is telling it like it is on Financial Reform as well as the need to restructure the U.S. economy. First, below is an interview with Bill Black. Next is a FOX (yes I know) interview with Thomas Hoenig. If you can't stomach FOX, there is an print and audio interview on the Huffington Post, or listen (last media item in this post) to the raw audio interview. Bottom line, these two men are speaking out and speaking out loudly with some plain truth and good old fashioned common sense. Bravo! Below is Naomi Klein discussing globalization and multinational corporations' marketing and branding strategies. Love your iPhone? Google it if you don't understand. The good news is more and more people are recording lectures, forums and talks and putting them online. There were two major conferences where some of the clips are online that I believe EP readers will want to watch. Here are some talks from the Make Markets Be Markets conference. All of the videos are here. Eamonn Fingleton is a writer and journalist who has focused heavily on manufacturing and economic development. Fingleton also called out what later would discovered to be hype bubbles,, crashes and crises. He called globalization Unsustainable and Dogma, and surprise, surprise, here we are. The real problem is why we cannot get all of these experts listened to, that said, you can listen to him! Friday Movie Night - Mathematial Models the Financial Crisis Bad Guys? Below is a talk on the actual mathematical models behind credit default swaps, credit default obligations and a very "Pro" Quant MIT Professor, Dr. Andrew Lo describing the mess. Here are some slides from a talk on the same topic. Now I do blame the mathematical models themselves, sorry we've looked at the mathematics, but this guy is a Financial Engineering Professor, so listening to his views and insights one must, as well as not discredit human nature as he points out. Lo has also testified before Congress on systemic risk. Here is the actual testimony with select quotes extracted and Baseline Scenario pulling out some quotes as well. Are Mathematical Models the Cause of the Financial Crisis in the Global Economy? Read more about Friday Movie Night - Mathematial Models the Financial Crisis Bad Guys? 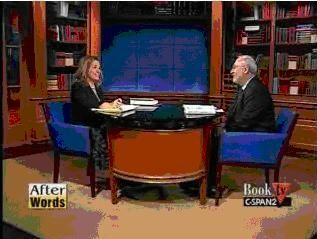 First up is a very good interview of Stiglitz by trade expert Lori Wallach on the Financial Crisis. Book TV doesn't believe in embedding so just click on the image or click here to watch the interview.